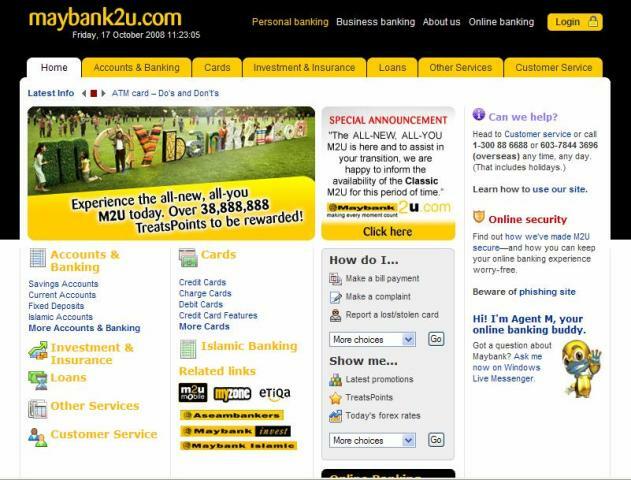 This is the new look for Maybank2u.com. Looks interesting, doesn’t it? But I have been trying to login since this morning. Extremely slow. Perhaps Maybank should not migrate to the new look until it is absolutely ready. Such a waste. Entry filed under: Misc. Tags: maybank2u.